There is an old English expression which says: “You wait a long time for a bus to arrive and then two come along”. Well that exact situation occurred at Fabcar recently. Only instead of busses… it is AC Cobras…. and instead of two… it’s three! 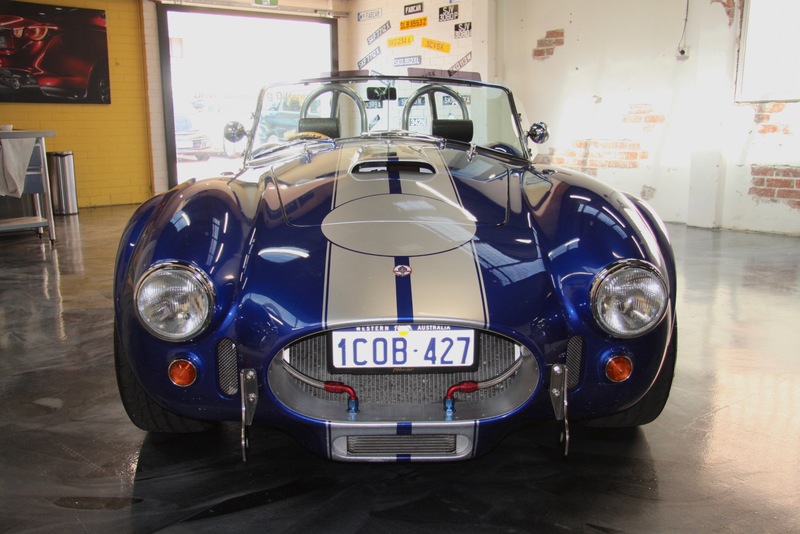 Obviously when referring to “AC Cobra”, we are not referencing the original 1960’s American built model. Such an example would comfortably set you back north of $1m with today’s values! Fortunately though, there are a number of companies who have over the years released their own examples to market. The traditional 2 seater layout, limited luggage space, lack of roof, air conditioning and GPS may impact on the number of people able to use them for the school run and work commute. But when the sun is out and the weekend is upon us… is there a better car to hit the open road with!? Renowned for its unique V8 soundtrack barreling out the side exit exhausts and not shy on power either, the Cobra boasts some serious smiles for miles factor! 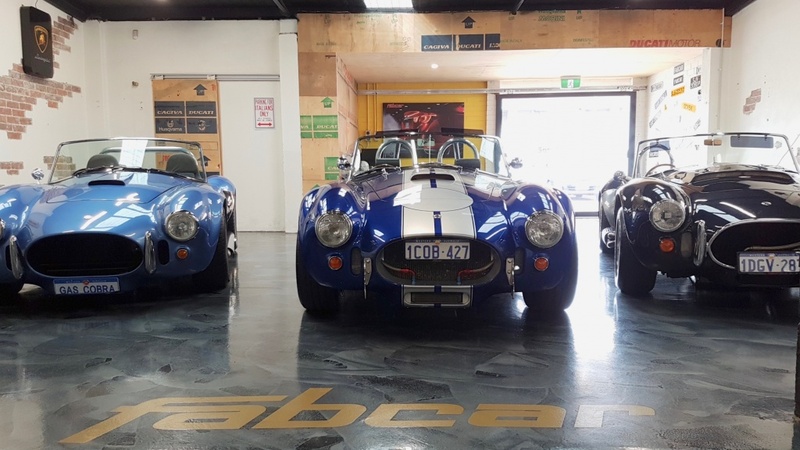 Below are details on the 3 AC Cobras we currently have in stock…. 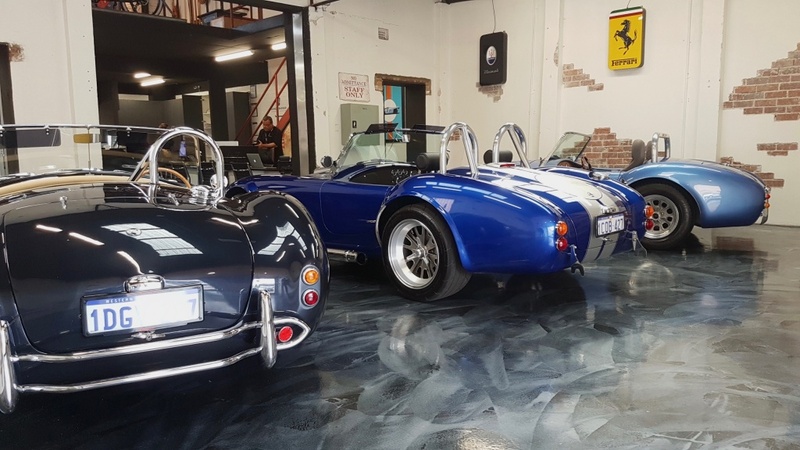 all 3 of them very unique even by traditional AC Cobra standards! In 1985 John Tojeiro – the individual responsible for designing the original AC Ace chassis created his own vehicle company in Essex, UK. 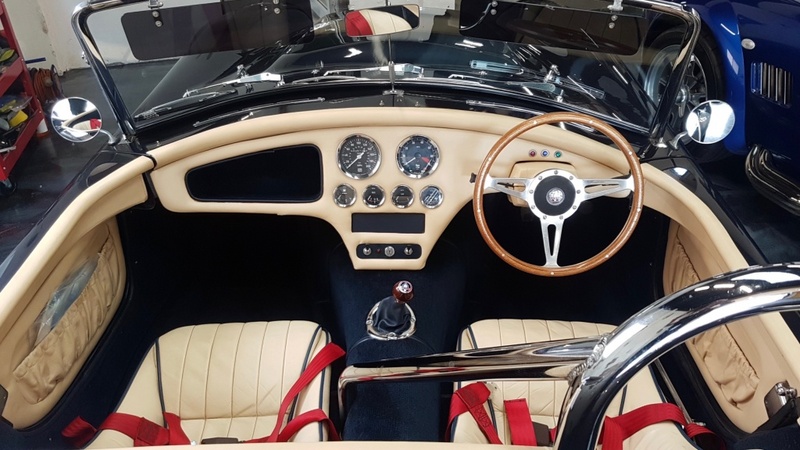 “Dax” produced a number of Cobra replicas using the traditional 427ci V8 set up… but they also made a very limited number of V12 examples too. The 1989 Dax Tojeiro V12 Roadster we have in stock has a further additional uniqueness being it was owned by the World renowned WRC Champion – Colin McRae. Accompanying the sale of the vehicle is the original “V5 Registration” document confirming ownership before the vehicle was passed onto his wife following his tragic passing in 2007. Having covered just over 4,000kms from new, this very special car has spent the majority of its life in collections and not been treated to the usual McRae style of intense rally driving! 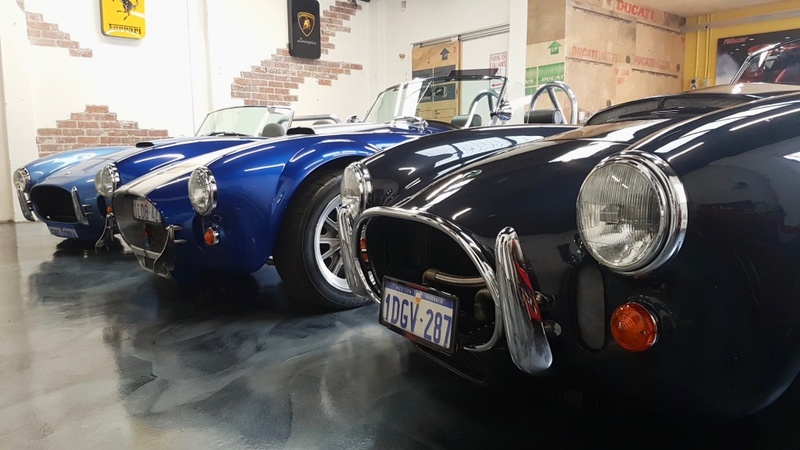 With original AC Cobra’s and replicas generally housing a Ford 427ci V8 engine mounted up the front, this particular Western Australia built example has thrown the rule book out the window and raised the bar slightly. Boasting a modern and reliable Lexus V8 it also has the rather subtle addition of an 1900 Harropp Supercharger kit. 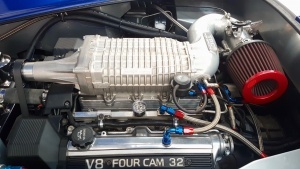 Mounted to a Toyota Supra 5 Speed gearbox, this unique combination puts some serious power down and can be quite the handful when weighing in at just 1000kgs and 480bhp at the wheels!